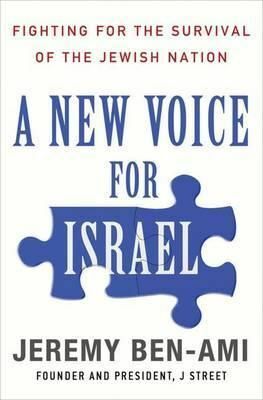 Many Americans who care about Israel's future are questioning whether the hard-line, uncritical stances adopted by many traditional pro-Israel advocates really serve the country's best interests over the long-term. Moderate Jeremy Ben-Ami, founder of J Street, the new pro-Israel, pro-peace political movement, punctures many of the myths that have long guided our understanding of the politics of the American Jewish community and have been fundamental to how pro-Israel advocates have pursued their work including: * that leaders of established Jewish organizations speak for all Jewish Americans when it comes to Israel * that being pro-Israel means you cannot support creation of a Palestinian state * that American Jews vote for candidates based largely on their support of Israel * that talking peace with your enemies demonstrates weakness * that allying with neoconservatives and evangelical Christians is good for Israel and good for the Jewish community. Ben-Ami, whose grandparents were first-generation Zionists and founders of Tel Aviv, tells the story of his own evolution toward a more moderate viewpoint.